Highly practical yet authoritative, the new edition of Modern Infectious Disease Epidemiology has been thoroughly updated and revised in line with changing health concerns. This successful book continues to outline the tools available to the infectious disease student or clinician seeking a thorough background in the epidemiology of infectious and communicable diseases. Building on many case studies and practical scenarios included, the book then uses the tools learnt to illustrate the fundamental concepts of the study of infectious diseases, such as infection spread, surveillance and control, infectivity, incubation periods, seroepidemiology, and immunity in populations. 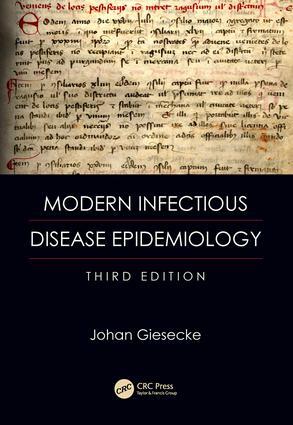 All students of epidemiology, infectious disease medicine and microbiology will find this text invaluable, ensuring its continued popularity. What Is Special about Infectious Disease Epidemiology?